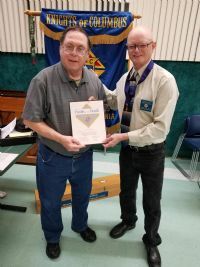 Family of the Month for January 2019 is Wayne and Kathy Strongman for their continuous support in KofC 13195 activities. 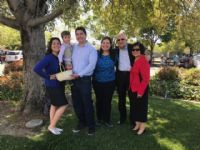 Family of the Month award for December 2018 goes to Antonio "Tony" and Minerva Melendrez for their continued service to the Knights and Queen of All Saints Church, including supporting the International Festival, Parish Council and many other events. 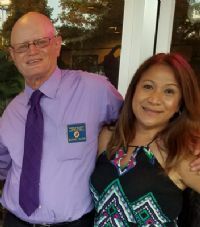 Ray and Marietta Leffner have been named Family of the Month for July 2018. Ray often lectors at mass, helps the priest saying mass with Communion, and also helps with several Knights' projects. Marietta is very supportive of husband Ray in his endeavors and also works with the Knights, San Lorenzo Ruiz Society, and other projects. Marietta also has a golden voice when singing at Mass. Often, their children help them with parish activities. Congratulations to Ray, Marietta and the family on their selection as Family of the Month. SK Knight Les and Kathy Casazza have been supporting our Council and Parish for many years. They are always willing to help those in need and are extremely generous towards those in need. Their Son Kevin graduated from QAS and then Da La Salle High School (All Catholic schools). Their commitment to our Catholic teachings and to those in need have is a blessing to all who know them. 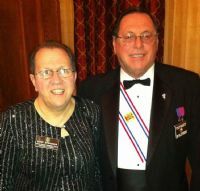 Deputy Grand Knight Mike Olsen and his family, have participated in many of our Knights events. They are very active in our Church activities as well. Ranging from our PID Drive, St Patricks Day Celebrations, San Lorenzo Society, and at many of our Hospitality and pancakes functions. A gracious thank you for showing us how you can serve the community and making it a family event. Brother Owen joined the Knights 8, years ago and served as our worthy advocate, and is a member of the Color Corps. They both serve as Eucharist ministers and have been very active with Knights activities. Ruth a former Lieutenant in the US Army served our Country and now continue to serve our parish and the Knights. When they are not volunteering they are tending to their wonderful garden, which produces the best honey and pickles in Concord! Thank you for all you do for your fellow Catholics. SK Ken and Linn Maraccini have supported the Knights with our functions for over a decade. 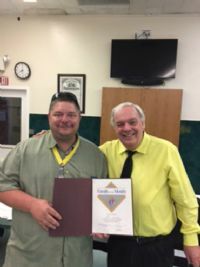 Brother Ken has been the main cook for most of our functions (Pancake breakfasts, Crab feed dinners just to name a few) and is well known for cooking the Best Saint Patrick’s Day Dinner in our District. He Leads our First Degree Team and has served as an officer in our Council for over 8 years. Linn Maraccini is well known for making beautiful quilts for our parish and Council, which she has donated at every raffle we’ve ever had. They volunteer at many of the Parish and Council events and attend mass regularly. Their support to those in need has no limits. Thank you, Ken and Linn, for your support to the Knights and for being an example for other Catholic families. Congratulations to our January family of the month SK Bill and Cindy De Smet. Their dedication to our council and parish over the years have been exemplary. 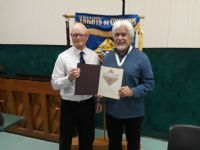 Currently, Bill is the parish council president and our Past Grand Knight. 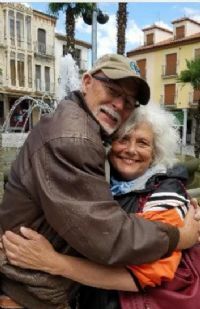 You can find Cindy and Bill effortlessly doing all they can do to promote our Catholic faith. Either through faith formation or chairing our pro-life events. Their participation in our Knights events, the parish, QAS School is one of the reason we can do what we do successfully. Cindy, Bill and the De Smet family have been a blessing to the Knights. Their participation over the years with our Knights events have been instrumental in the success of our activities. They are always willing to donate their time, and it has been a pleasure to work alongside them. As many of you already know, our Council is very active with many causes and the Strongman are involved in many of them. It is a blessing to know Wayne and Kathy and I am personally grateful for their dedication and support to our Council. SK Antonio Melendrez and his wife Minerva. Both serve as Eucharistic Ministers, and Brother Antonio is currently serving on the Parish Council. Their participation in the International Festival helped make it a success, and thank you for supporting the Knights with our events. God Bless You SK Antonio & Minerva Melendrez for your gracious support. Brother John Samples, and Kathy for their Dedicated Service to our Council and Church.